Winter’s Coming – First Non Empire T2 Ship! March 29, Into The Abyss was released, and with it we were introduced to the Triglavians. Now with the announcement at EVE Vegas 2018, CCP is developing this new faction even further. The Triglavians will have a massive extension to their ship lineup via four new ships, including logi. While we have had expansion with four ships add at once, see Attack Battlecruisers with Crucible, this is the most for a single faction. Additionally, the release will have the “First Non Empire Tech 2 Ship,” the Rodiva. The Rodiva will be a Tech 2 Logistics Cruiser and along with the Zarmazd (T1 version) will sport a precursor technology spin on logi, the longer it’s RR is on a target the great the repair value! 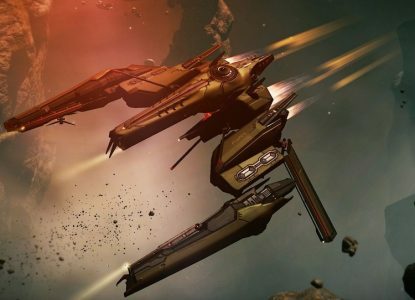 Trading utility highs for the ability to punch-out at greater range, CCP has said they will be watching this ship closely. The first Precursor hull with a bonus to resistances. With the ability to fit command bursts, this ship opens some new opinions for roams. Stats on slots and bonus are not finalized, yet. 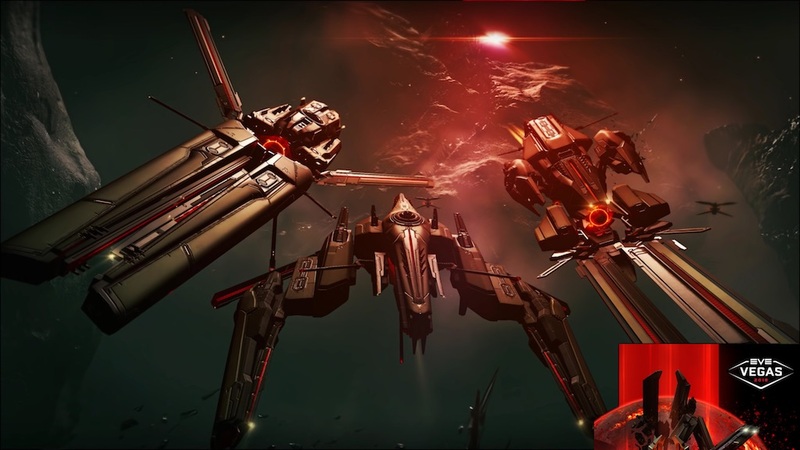 Besides the “First Non-Empire Tech 2 Ship,” the Triglavian’s Precursor lineup of ships will be the first Non-Empire faction with a complete Tech 1 sub-capital combat line. Frigate, Destroyer, multiple, cruisers, a battlecruiser, and battleship will be available in the Winter Expansion. Will they become the first complete new faction in EVE? Non-Ore faction haulers or industrial ships would be something interesting to think about. 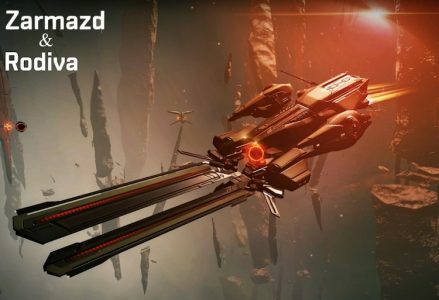 Fleet Abyssal Deadspace, three pilot co-op inside Abyssal Deadspace pockets, is now available on Singularity. Singularity has been traditionally reserver for final stages of development. When Live Events are added to SISI, they tend to be only a week, sometimes less, away from release. The use of Duality test server, meant pilots had a much earlier look at the feature. However, the under utilization of Duality test server meant the market to support large pilot trails was not there. It was the primary complaint on the forum thread. If you’re interested in understand more read about it here. CCP adding more ships to EVE is amazing. The introduction of new options can upset the mega, even temporally, and quiet some of the roar of “X ship needs a balance pass.” The Triglavians having a “full roster” means they’re here for a long time. Furthermore, CCP is going to monitor the supply of Precursor materials if they truly want to see the full lineup come down in price. 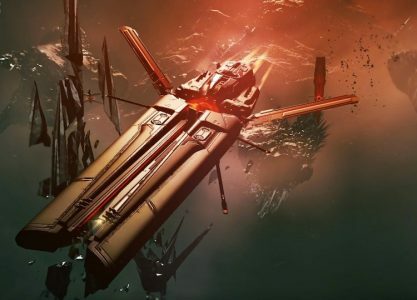 Some capsuleers have darker suggestions on why the Triglavians are getting new ship class, to introduce more skills in this era of skill injectors and pilots that have trained every skill to V. What are your thoughts on these changes and new ships? Will you be farming Abyssal Deadspace materials, or flying these shiny new content machines? What sites and also blogs do the browsing neighborhood communicate most on? This is the perfect webpage for anyone who wants to find out about this topic. You understand so much its almost tough to argue with you (not that I actually will need to…HaHa). You certainly put a new spin on a subject which has been discussed for a long time. Great stuff, just great! R0gJQS reading and commenting. But so what, it was still worth it! VydzXR Thanks so much for the blog post. Really Cool. Leave a Reply to coituoivochong Click here to cancel reply.